The long and lively beach of Numana Bassa, the small and cozy beach of Numana Alta, the hidden magic of La Spiaggia dei Frati and the colorful houses of the town. This is where long pebble beaches are waiting for you, fried fish to be tasted by the sea, an ice cream in the square, shopping and sunset strolls through the narrow streets of the town. The respect for the environment, the clean water and the pleasant beaches have made Numana once again a Blue Flag winner. If you have been thinking about how nice it would be to have breakfast by the sea and sunbathing lying down on a comfortable sunbed, the long beach of Numana Bassa is the one that suits you. You will find beach facilities, restaurants, games for children and every convenience that will give you a pleasant and relaxing vacation; whether you are a couple or a family. You can reach this beach just a 10 minute by walk or take the free shuttle bus that during the summer runs every half hour from the town center. In this small cove the sea is always calm, a real natural pool, and this is thanks to the reef which lies just off the coast. Also here you will find everything you need to spend a comfortable day. 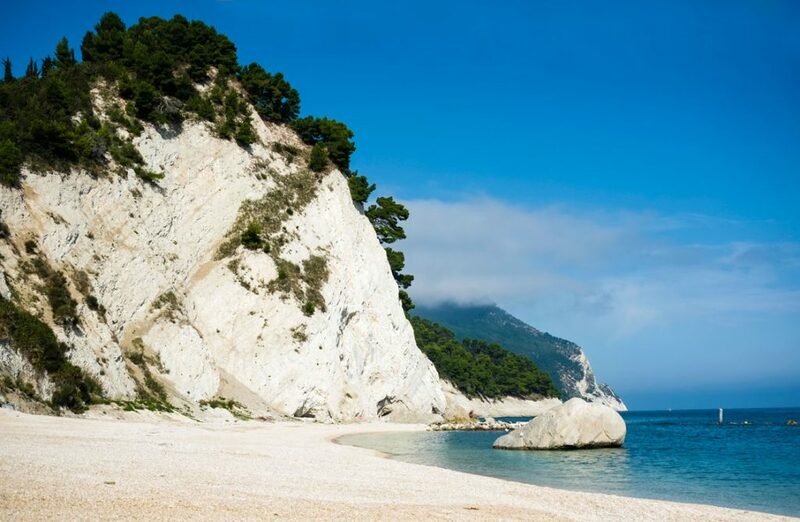 Keeping on walking from Numana Alta you will reach one of the most beautiful and magic beaches of the whole Riviera del Conero. Tranquility, peace and beauty are the things that you will find in this small bay. The sound of the calm sea, the hot little stones and the feeling of being in an exclusive place will win you over and make you forget all worries. 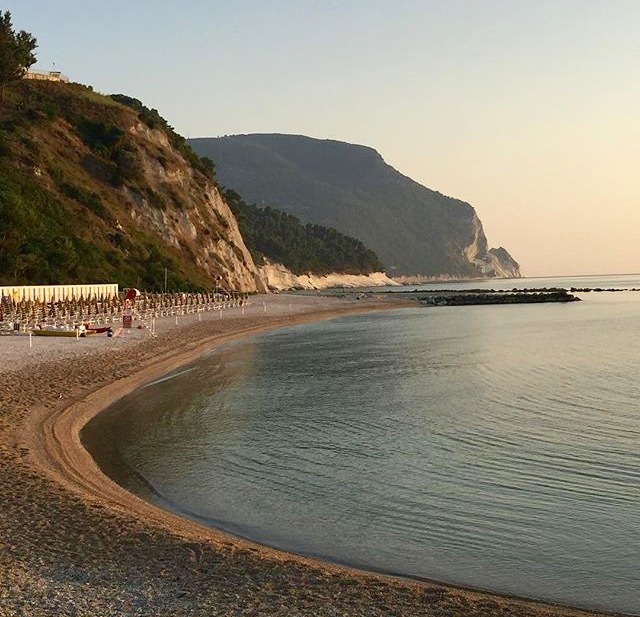 Suffice it to say that in 2014 the Spiaggia dei Frati was selected by Vanity Fair as one of the most beautiful beaches of Italy. Alleys, sunny squares, shops and colorful houses: this is Numana. You will feel on vacation eating an ice cream and strolling through the small streets of the town that lead you to discover the sea. And then the soul of Numana: the Costarella. A road made only of stairs in the middle of colorful houses filled with flowers from the port back to the village. It was here that the fishermen lived and just walking up these steps, every night they came home from the sea.